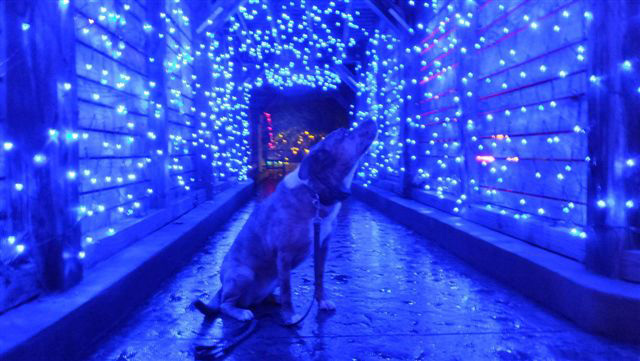 Dogs can enjoy the holiday lights at GardenFest for Fidos! Leashed dogs are allowed on these select Dominion Energy GardenFest of Lightsnights: Thursday, December 6, 2018 and Thursday, Jan. 3, 2019. 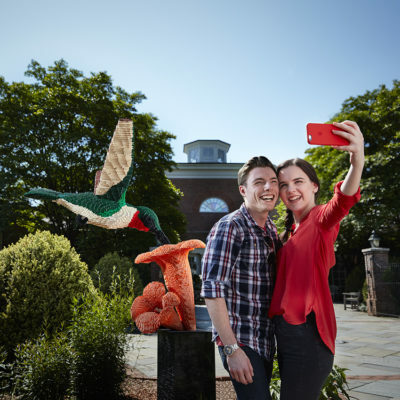 Please go to our website to read our rules and guidelines for visiting Lewis Ginter Botanical Garden with dogs. Regular Garden admission; $2 suggested “pet admission” benefiting the Richmond SPCA. All dogs must be leashed and current on a rabies vaccinations. Please Note: We welcome dogs in the Robins Visitor Center and Conservatory, but ask that they not enter the Kelly Education Center building.